“I’ve always been attracted to ideas that were about revolt against authority… I like ideas about breaking away or overthrowing of established order. It seems to be the road toward freedom.” – Jim Morrison. How could the Establishment not pursue a man who began public life with a statement like that? Jim Morrison was a songwriter, film maker, poet and singer with The Doors. His opponents saw him as a criminal. And more. In an escalating confrontation over the freedom of America, he was up against men who used law to block justice and fear to halt social change. Those men included the FBI’s infamous director, J. Edgar Hoover. Inspired by true events, this imaginative recreation of history re-opens Morrison’s secret FBI dossier to reveal his Establishment opponents. Moving between Jim’s image, influences and brushes with the law in Phoenix and Miami, Daveth Milton uses meticulous research skills to assess the extent of the conspiracy against the singer. 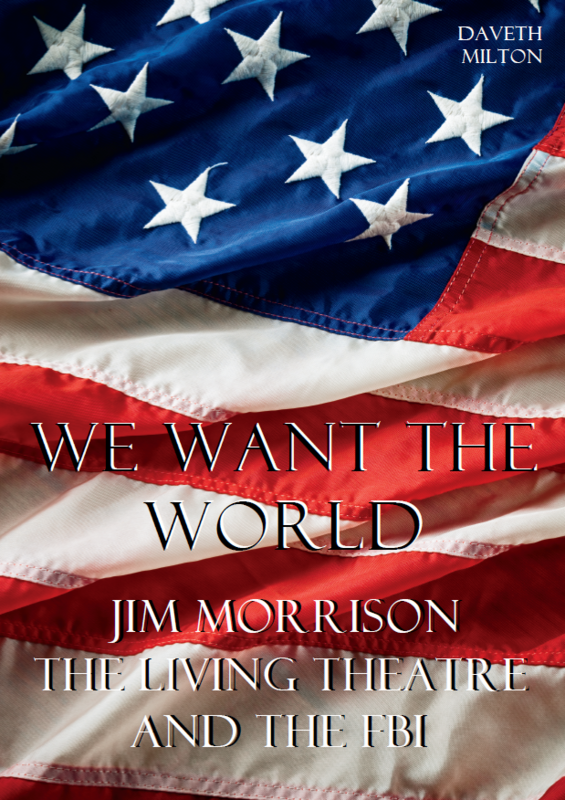 Part meditation, part rock in the dock exposé, We Want The World provides the ultimate account of Jim Morrison’s awkward encounter with the Bureau. Chapter 7 – A Singing Killer? Book Categories: Biography, Fiction, Music and People.